Colorado Seamless Gutters has recently added a brand new, New Tech Machinery BG7, seamless 7” Commercial Box gutter machine to our product line. 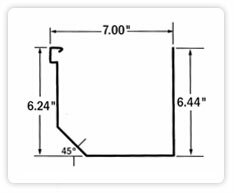 This 7” Box gutter is capable of handling drainage and moving water from the largest roof areas and is the ideal choice for most commercial and industrial buildings. Not only will the seamless 7” Box Gutter enhance the appearance of the building, but it will replace the “leaky” sectional gutters that have been the standard high capacity gutter on these applications for years. Available in many colors. Can match metal roof colors. The 7” Box gutter can accommodate 3”x4”, 4”x5” and custom closed and open face downspouts. The 5” wide bottom allows for extra large downspout sizing. Click here to view available colors, plus many more to choose from. 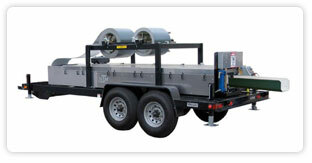 We offer expert installation, drop off at jobsite or pickup at our warehouse.